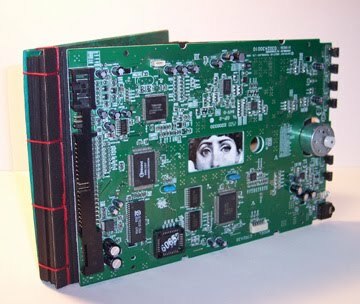 I made this computer circuit board journal quite a few years ago, but I've recently become interested in making some more stab-bound books. 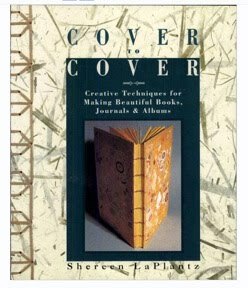 The very best beginner's book for those who want to explore book binding is Shereen LaPlantz's Cover to Cover. 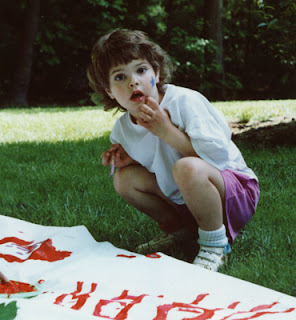 She has detailed directions for doing Japanese stab binding, and I will only be skimming the surface here. The term stab-binding refers to the fact that you will be lining up a pile of papers and the covers, and sewing through the entire stack with each needle pass. 1. Trim all the pages to the same size and line them up. 2. 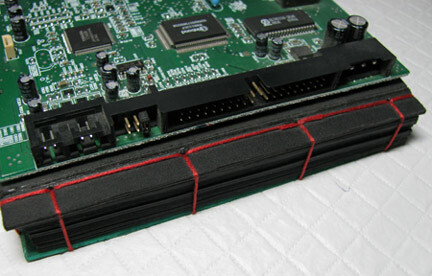 Make a two-piece cover with the spine piece around 1/2" to 1". Wrap the two pieces with an 1/8" gap between them, using decorative papers. For my computer book above, I glued the circuit board onto the front cover, starting to the right of the hinge so that it wouldn't interfere with opening the book. 3. Place the pages between the covers and line them all up carefully. Clamp them together while you drill or pierce holes. I used a 4 hole pattern. Make sure that the end holes are at least 1/2" away from the top and bottom edge. 4. Lace together, starting and ending with one of the middle holes. Tie the ends. I used embroidery thread for it's decorative look, but you can use waxed linen, C-Lon, ribbons, or other decorative threads. That book is so cool! I'll be looking at my DH's stash of old electronic parts (which he refuses to part with)in a whole new way. lol. That's just gorgeous, Cyndi! What a fab gift!